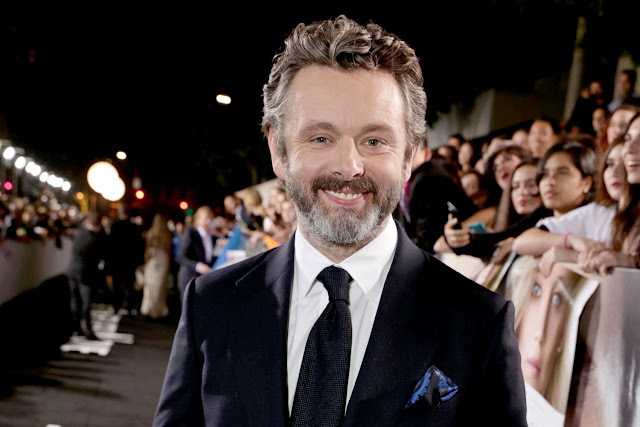 Home / CELEBRITY NEWS / Michael Sheen, an Android Bartender in "Passengers"
Michael Sheen, an Android Bartender in "Passengers"
He is known to millions as a vampire in the Twilight saga films and a werewolf in the Underworld franchise. 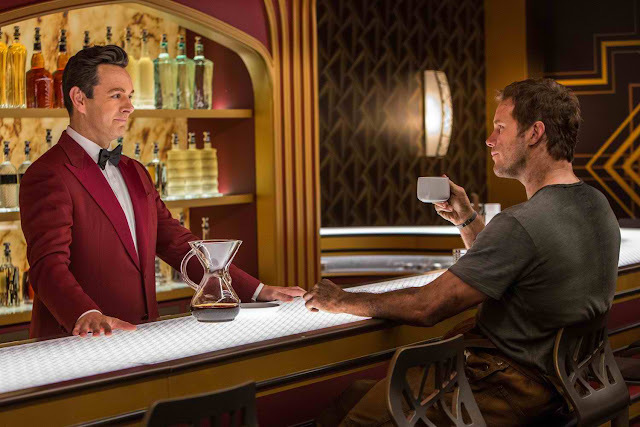 Now, Michael Sheen now stars as Arthur, the android bartender on board the intergalactic spaceship in Columbia Pictures' exciting new action-thrlller Passengers. In the film, Aurora (Jennifer Lawrence) and Jim (Christ Pratt) are two strangers who are on a 120-year journey to another planet when their hibernation pods wake them 90 years too early. Jim and Aurora are forced to unravel the mystery behind the malfunction as the ship teeters on the brink of collapse, jeopardizing the lives of the passengers on the greatest mass migration in human history. An android with a remarkably human upper half, Arthur moves with efficiency, grace, and skill, and responds to passengers’ worries and anxieties with a kind word and warm heart – if a little naïveté. “Arthur is an important element to their mental state, because he’s the closest thing to a human that they have besides each other,” says Lawrence. Part of Sheen’s performance came through a physical transformation, with the help of the on-set special effects team. The team designed a rig to move him swiftly back and forth behind the bar; with Sheen kneeling on the rig, the filmmakers could control his movement, like an android’s – later painting out Sheen’s legs and the rig with a robotic stand. “The computer-driven rig had to move really smooth and really fast,” says Special Effects Coordinator Daniel Sudick. “We would record a move in sync and in speed with the camera on the computer, and be able to play it back with precision as many times as it is needed.” It took eight weeks for Sudick’s team to build the Arthur rig, and another three weeks to test it to make sure everything worked well together.